Hi! 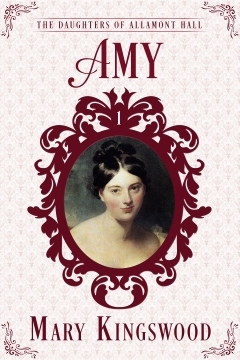 I’m Mary Kingswood, author of the Sisters of Woodside Mysteries, Sons of the Marquess and The Daughters of Allamont Hall, traditional Regency romances. Keep up with new releases and special deals by signing up for my mailing list from the Sign up! tab, above. A new series! Starting in June 2019, you can enjoy a brand new series of traditional Regency romances in the Silver Linings Mysteries series. The sinking of a ship brings tragedy, but also unexpected benefits for some. In May, a prequel novella, The Clerk, will be a FREE GIFT for all my mailing list subscribers, so be sure to sign up to get your free copy. New in audiobook: For those of you who prefer your Regency romance in a different format, all five of the Sons of the Marquess series are now available in audiobook. The Sisters of Woodside Mysteries books will be available later this year. Click here for more information. New in paperback: for those who want to complete their collection, all three of the current novellas are now available in paperback, to match the rest of their series. Click here for more information. To find out more about the books and where to buy, click the Books tab above. You can also Sign up for my mailing list to be notified of each new release, or special price deals. To find out more about me, click the About button. If you have any questions or comments, details of how to get in touch are on the Contact page. 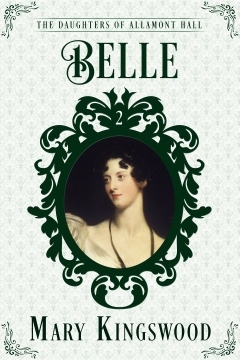 On the Blog, you can find Regency-related book and film reviews, including my Georgette Heyer re-read project, news and my random ramblings. I think I started reading your books about a year and a half ago. I was amazed at the quality of your writing. It’s very good. 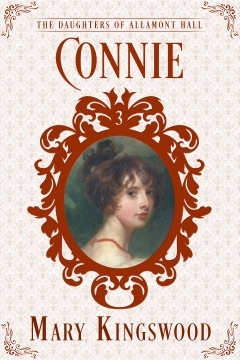 I enjoyed the Woodside series and am finishing up Fanny’s story before I read Woodside. You have a big fan on the Southside of Chicago. Thank you for your kind words! How lovely to know that my words, written in the Highlands of Scotland, are being read in Chicago. We may be far apart in miles, but united in our enjoyment of the Regency era. Happy reading! This was my first time to read any of your books. 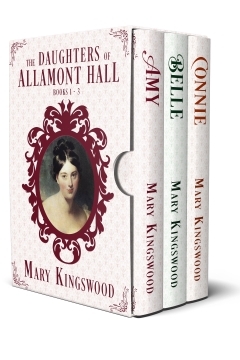 I thourouly enjoyed this 3 book box set of the Daughters of Allamont Hall. I left a review on Amazon. I’m so glad you enjoyed the read, and thank you for taking the time to write a review – every review is much appreciated. Nancy, I’d love someone to do my housework, too, so I could get on with writing! Mary is a free gift to all my mailing list subscribers, so all you have to do to get it is to click the signup button on the website. You’ll also get the other free novellas (there’s one for each series), and the first notice of new books, special deals and giveaways. Thank you, I loved reading about Amy,Belle and Connie. I look forward to reading the rest when I can afford to. I have read all of your books now, having just completed Woodside. I was having a yippee moment thinking a NEW series. Not out yet. Boo hiss. Your books are excellent with great story lines, Please continue your work. I have greatly enjoyed each one of them. Your books leave me so sad, because they are over. Thank you for the preview of things to come. I’m glad you enjoyed them, but sorry you’re sad. 🙁 Lots more books to come, with luck. Also, why was trade considered so terrible in the 19th century? I recall reading something similar in Jane Austen. This is an interesting question. Yes, Jane Austen was slightly scathing about the fact that Mr Bingley’s wealth had come from trade (unspecified), and the Bennet sisters’ aunt and uncle, the Gardners, lived in London “within sight of their own warehouses”. England in Regency times was incredibly class-conscious, and there were lots of invisible lines drawn to differentiate the higher ranks from the lower. The royal family was the top of the heap, then the nobility in order (dukes, marquesses, earls, viscounts, barons), then the upper gentry (baronets, knights) and then the rest of the gentry (people of independent means, living on rents from land or interest on investments). Below that were all the poor souls who had to work for a living. The professions (lawyers, clergymen, army officers, etc) were treated like gentlemen, but below that you got the merchants and shopkeepers (trade! eek! ), with whom persons of quality would never mix, except to buy stuff from them. And below that, the vast mass of the population, the labouring classes. We still have the same sort of invisible lines between ranks nowadays, but the distinctions are more subtle, not just based on titles and/or money, but to do with whether you have the latest iPhone or buy organic bananas. 🙂 The nuances of the class system are endlessly fascinating, aren’t they? I have a question about the Woodside series. In what part of England is Brinshire County located? Brinshire is a county of my own invention – squeezed into an imaginary space between Staffordshire and Shropshire. I use a mixture of real and imaginary places to give me the maximum flexibility. I realized it wasn’t a real county when I tried to google it but I wanted to have an idea of its relative position to Lancashire and London. I finished Woodside today and it might be my favorite of the Woodside series. I really liked both protagonists, and I enjoyed the mystery/puzzle plots of this series. 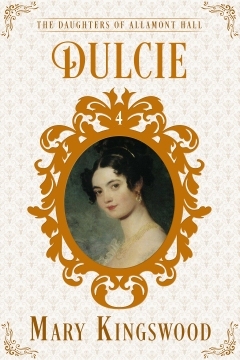 One of the aspects I appreciate most in your books is that the characters seem like true characters of that time, and not like modern characters merely placed in a Regency setting. It occurred to me after talking to you that it might be helpful to put a map on the website so that people can see where all these places are! In the new series, my characters are down in Cornwall and Hampshire, the southern-most parts of England. Lord Carrbridge’s home, Drummoor, is up in Yorkshire, very much in the north, while ‘Brinshire’ is the Midlands. And then Shropshire, the setting for Lucy’s and Margaret’s stories, is right on the Welsh border, so some of the characters and names were Welsh. Well, it makes a change from London and Bath, doesn’t it? That would be great. I’m familiar with the location of most of the English counties on the perimeter of the country, but I get a bit lost with regard to the ones in the middle. When you announced your new series about a shipwreck off Cornwall, I thought of Daphne du Maurier’s Jamaica Inn. I guess that technically takes place in the Regency period, though I’ve never considered it to be of that genre of novels. I was both delighted and saddened to reach the end of the Woodside series; a very clever and satisfying end to an enjoyable series. I’m looking forward to your next series, of which you have given out a sample chapter. Your “Sons of the Marquess” and Allamont Hall series were also wonderful reading. Thank you, Susan! It really makes my day when readers take the trouble to write and tell me that they’ve enjoyed the books – your comments are much appreciated. I have just finished the Sons of the Marquess series, having already read the Woodside and Allamont series (except of course the yet to be released final book in the Woodside series). I am sad to be done with them! I look forward to your next series! Great reading and wonderful characters! Reading The Betrothed was truly a pleasure. The book is definitely a treasure! 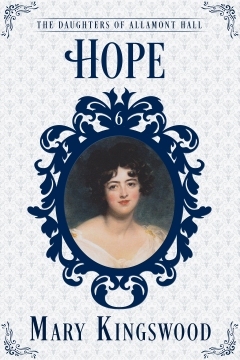 For men, a liking for Regency romance tends to be viewed as a guilty pleasure (I own up), though I note that Georgette Heyer’s legion of fans includes Stephen Fry, who unveiled a Blue Plaque in her honour recently. Surveys of the huge American market for romance titles indicate that male readers are c. 15% of the whole, which given the massive size of this sector of publishing implies a significant male readership (https://www.huffingtonpost.com/maya-rodale/who-is-the-the-romance-novel-reader_b_7192588.html – this is for romance readers as a whole, but would there be any reason to suggest that the proportion was less for Regencies?). Wow, 15% is huge! I had no idea it was as big a market as that. And I imagine it would be similar in the Regency sub-genre, too. Perhaps more so? Maybe the history aspect would appeal to men in particular? Anyway, gentleman readers are more than welcome. I’ve greatly enjoyed the Woodside books and look forward to the last, when we officially discover what happened to the younger brother. 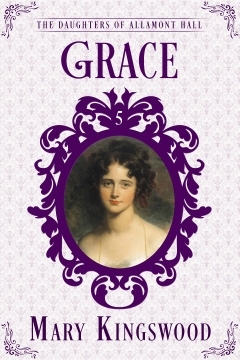 I look forward to reading more of your delightful books, and man enough to say I enjoy a good Regency romance! Thank you, Marc! I suspect that quite a few gentlemen enjoy reading Regency romances, although they may be too shy to admit to it! Nicole, you can read Mary’s story free when you sign up for the mailing list via the Sign up! button above. Alternatively, email me direct via the Contact page. I really have enjoyed your series of the Woodside mysteries. Looking forward to the conclusion. I apologize for my own mistakes above! I did not edit it correctly. I do appreciate you writing books that are drawing room rather than bedroom! I have been enjoying your Woodside books. I was disappointed that the final one won’t be out until March. In one of your books, you provided the opportunity for readers to correct you on appropriate time. Information. My concern is a grammatical construction that you have used many times. It seems to me that in a sentence like the one that follows, you should have written either just the word “nor”, or you should have written “but neither”. She could not imagine what Mel had said to drive him away with his object not attained, but nor could she imagine what the viscount had to say to her. The use of both “but” and “nor has” two conjunctions in a row. Was this proper during the Regency era? Thank you! I think you are right, although I’ve been doing it wrong for so many years now that I’m not sure I can change now!